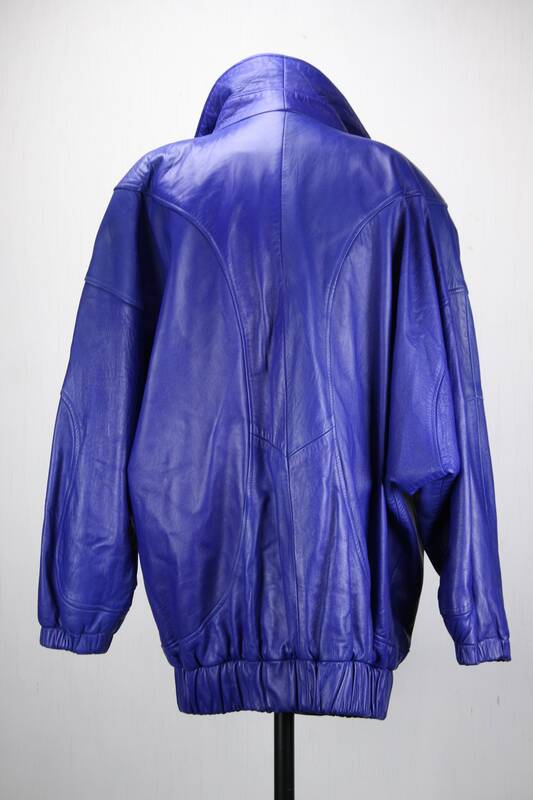 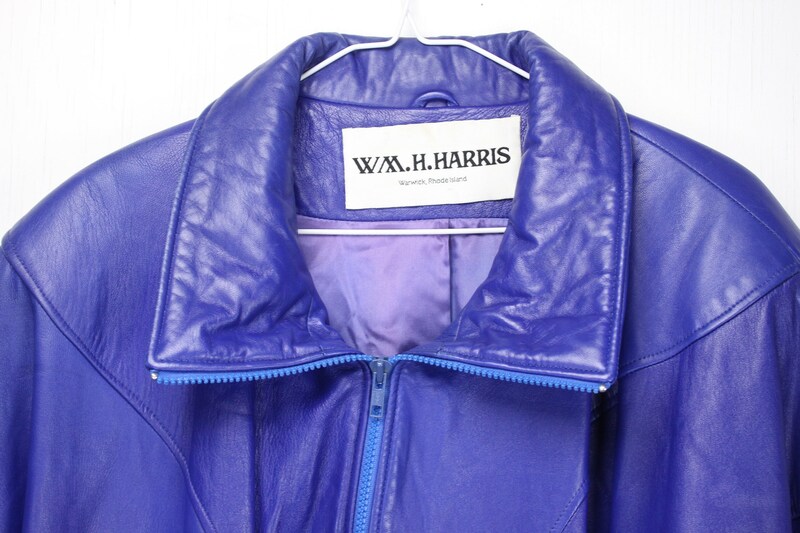 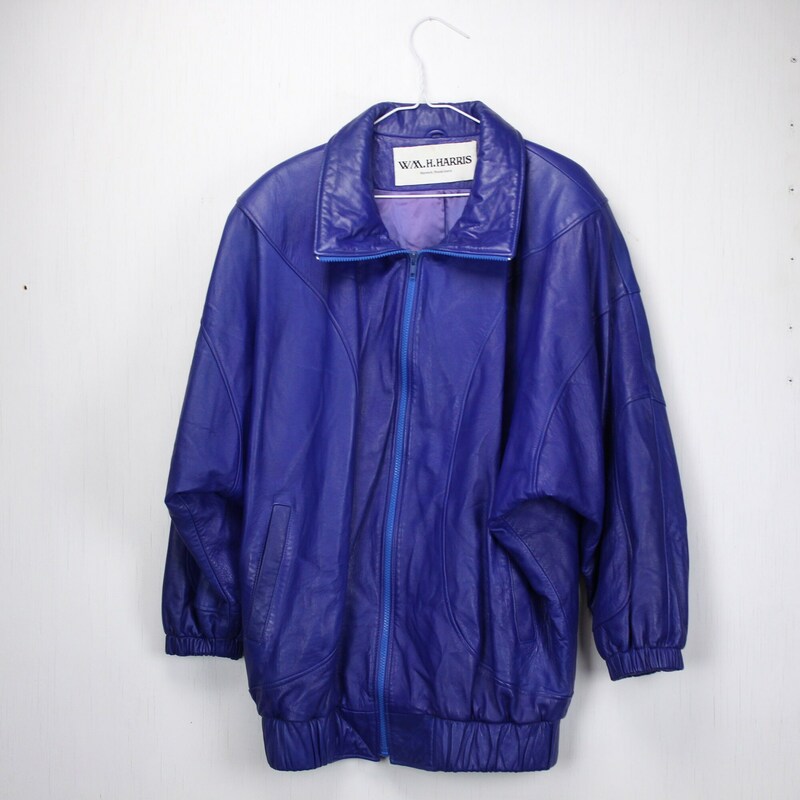 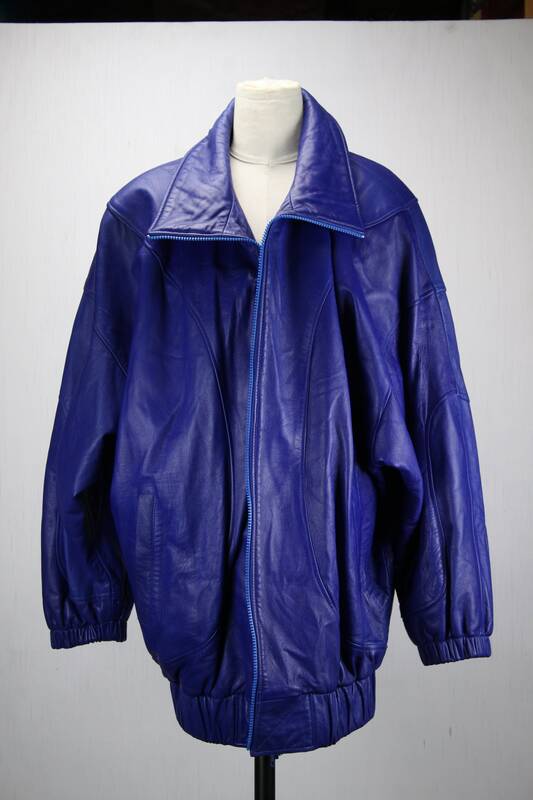 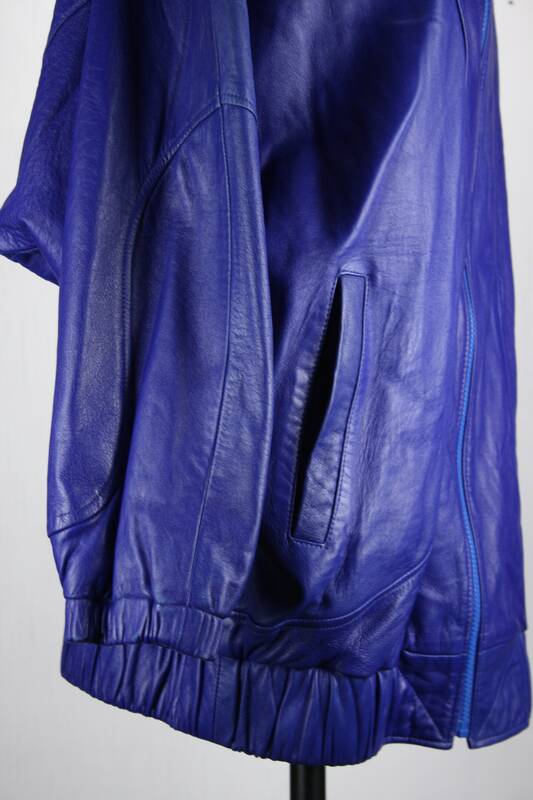 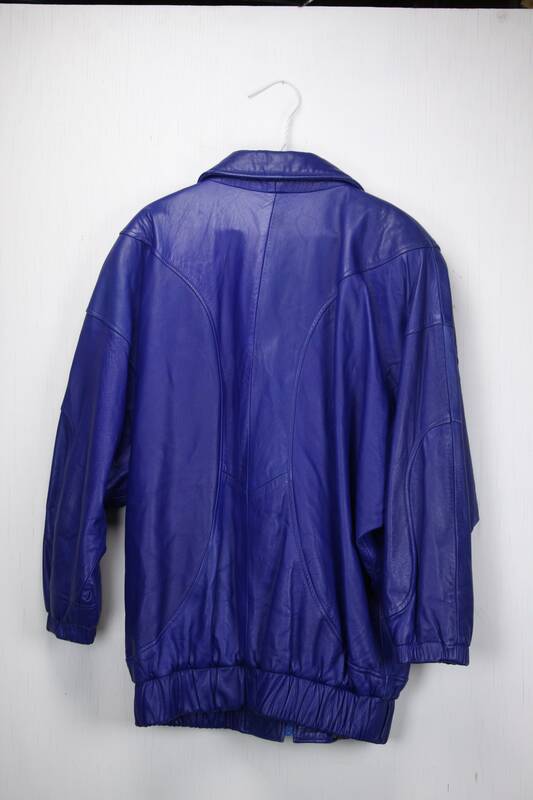 Look your best with amazing blue leather jacket by W. M. H. Harris! 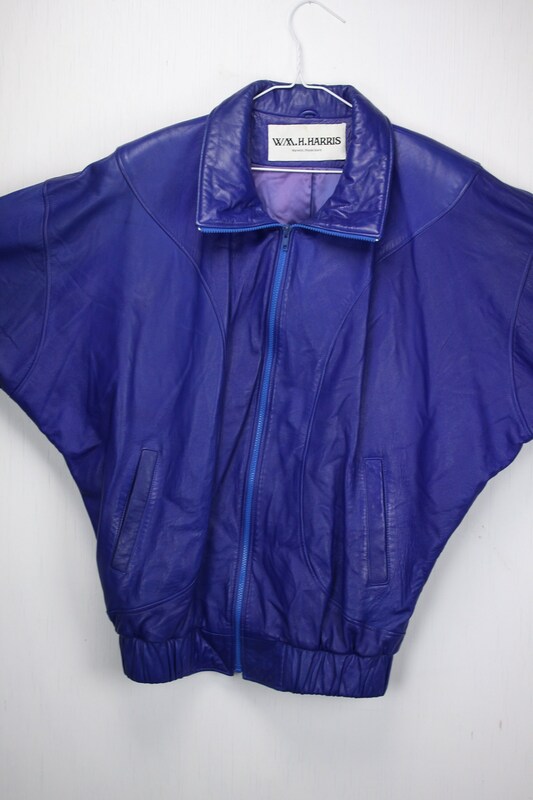 Simply put - this jacket is the 1980's incarnate! 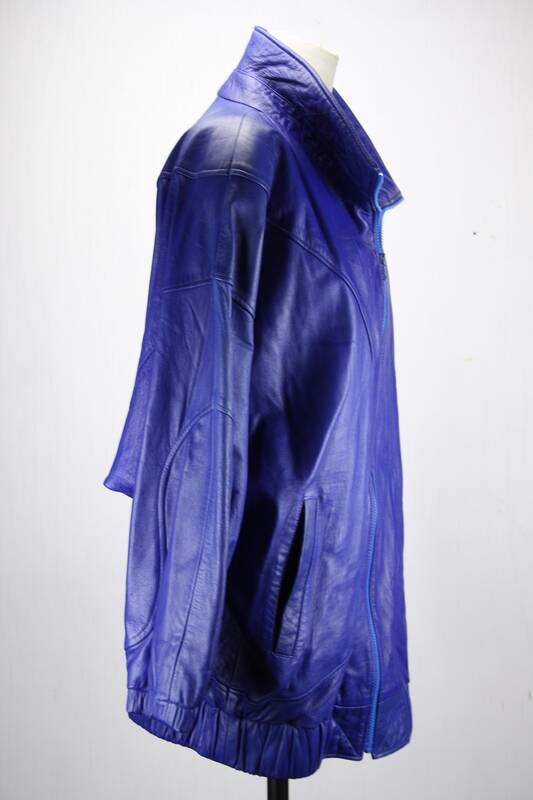 Made in NYC for distribution in the USA this jacket feautures the highest quality of U.S. construction. 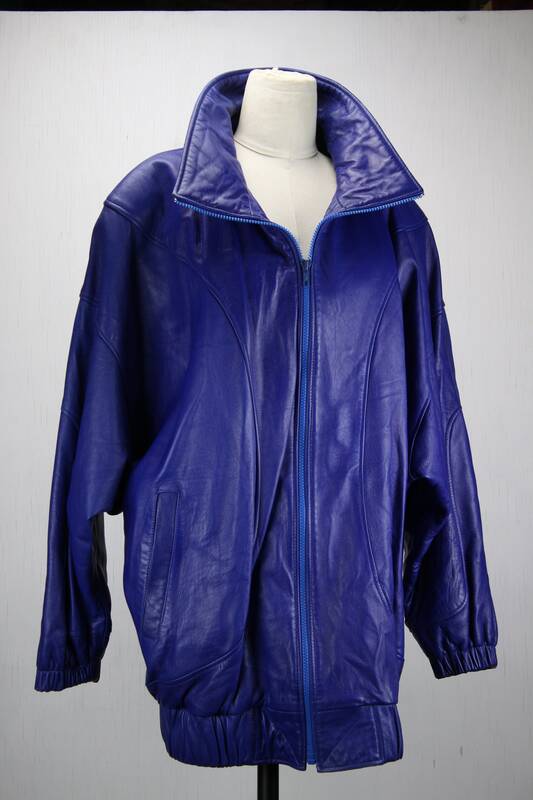 With real leather, hidden shoulder pads, silky lining and an amazing Batwing / oversized motif - this jacket is not just the best - It's the best of the best! 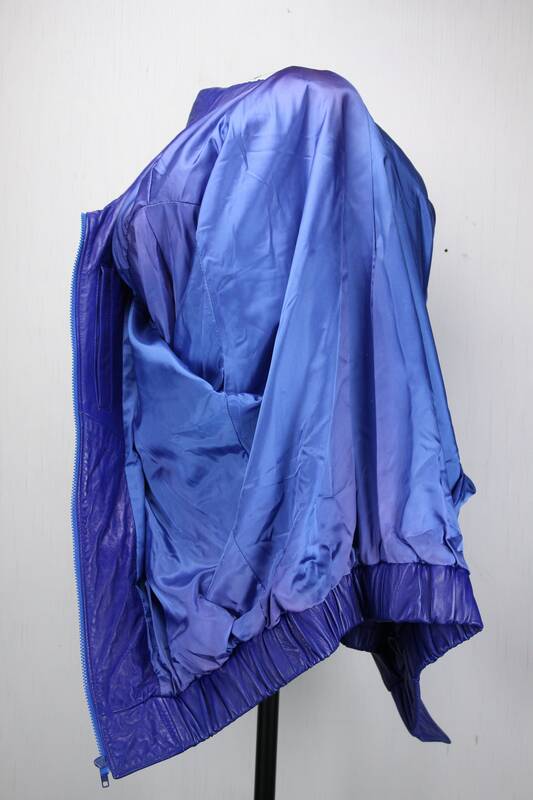 Arm seam to Hem: 18"